Learning the functionality of your digital single-lens reflex (DSLR) camera can be a tricky task — so much so, that many users resort to using their powerful new cameras in “auto” mode. In response to this trend, a group of photography enthusiasts and graduate students created Elements of Photography, an app that helps novice photographers understand the basics of the trade. Organized into chapters with beautiful HD photos and easy-to-understand text snippets, the app offers a beginner course in “Photography 101,” covering everything from focal length to shutter speed to advanced topics. The team considered wrapping the app with PhoneGap, but after some experimentation, felt it lacked the polish for commercial appeal. After evaluating other tools like Cocos2d-x, Moai, Gideros, GameMaker, and GameSalad, the team decided on Corona SDK for the platform’s rapid development capabilities, ease of use, and level of control. Patanaik noted that, “Most importantly, Corona SDK offered a vibrant community that shares code and ideas freely. This made it very easy to troubleshoot when we were stuck.” You can read more about Patanaik’s experience working with Corona SDK on his personal blog. 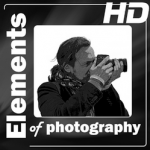 With over 20,000 downloads to date, Elements of Photography is even used by the Veterans Vocational Education and Training (V-VET), a non-profit organization that helps recently-returned military veterans increase their skill set, assimilate into society, and generate an income. If you have a DSLR but don’t understand its full capabilities, or if you simply want to learn the basics of photography, download the app from iTunes, Google Play or the Amazon Appstore. Please make it autorotate, it annoys me and it’s simple to enable with Corona. 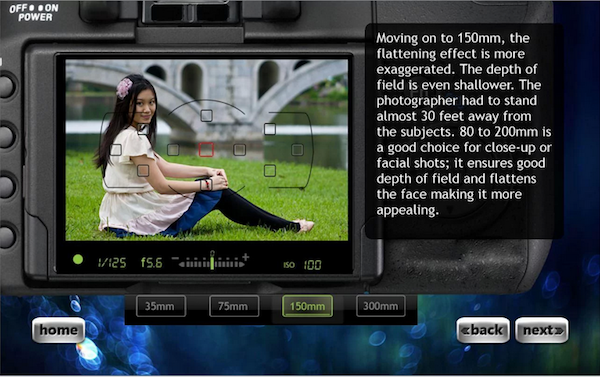 Also on the aperture section, the images with the girl and showing the background going from out of focus to in focus. The focus point (red square) should really be on the girl, not in the center. Thanks Dave for your feedback. We will incorporate the changes in the next update. My initial concern with any app like this is subject matter authority. Hopefully these guys got some professional insights and content, or involved a pro/experienced photographer. I’m looking forward to checking it out! I understand your concern but rest assured we have done extensive research to develop the content. We have gone through hundreds of videos and dozen of books and taken expert opinions from professionals for each chapter. Go through the whole app and do let us know about your opinions. What a great app. I must admit I have been guilty of simply leaving my digital camera settings on auto as it can be confusing and no one wants to read a large and over whelming manual. This is definitely something that’s much needed for the every day novice digital camera user.